In this age of 21st century, more people are thinking of being their bosses. There has never been this easy to start eCommerce portal. Day by day improvement of the internet has made your dream of eCommerce more accessible than ever, and it is one of best avenues for success. 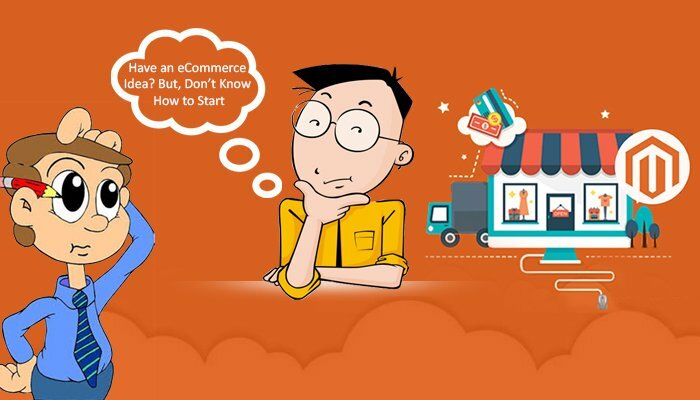 So if you are planning to initiate your eCommerce business then here is the checklist which might be helpful. The most important and the first task is an analysis of the business. Anyone who desires to have the online store, he/she has to do an in-depth analysis of the industry. Define the requirement in Detail. For example: you can analysis the pages that how many pages you require (home page, about us, contact us, shopping cart, product list page, product detail page, product comparison page, my account section, wishlist page, login page, sign-up page, shopping cart, FAQ, etc.). Describe the requirements of modules in detail like what will be there in the module and how do you want. After business analysis, choose an excellent and memorable name for business which must be according to product/service, and easily speak-able as well. Now you need a domain name for the online presence of a business. If you do not find your desired domain name, then you can also search for the alternate name. For example: If your business is of glasses for women then you can have womenglasses.com if this is not available then you can check for glassesforwomen.com. Now you need to do some research for hiring the best and affordable development company/freelancer. Make the list of development companies and contact them one by one, and discuss your primary objectives, scope, and requirements in detail. Ask them for the portfolios (previous similar work) and estimate for website development. When you select the development company/freelancer, you need to be little careful about cost because cheap is not always best. The hiring of cheap development company might be compromised to your business. Note: Hiring a freelancer can make you face many problems. Client lack the experience of development, the process of hiring freelancer through the technical interview is often faked because the client is not a developer. There is lack of commitment because freelancer is not going to take responsibility of any dissatisfaction. Sometime freelancer just disappears without letting you know. There will be lack of team spirit. A development company will provide support after deployment, but a freelancer will not. For better development of the website, keep communicating with the developers and check development process, and you can also ask for the suggestion for any enhancement. You can search by yourself for hosting and compare their plan according to their price plan, bandwidth, uptime, space, etc. or you can also ask suggestion from your development company for hosting. As we know that people like to shop only from the secure platform so apply SSL (Secure sockets layer) to your website to make trustworthy for users. 2.compares their fees (Monthly fee, Transaction fee, and Setup fee). Select the gateway which is lower cost and better for the company. 3.check company’s background by reading reviews and feedbacks. Here are some payment gateways: Authorize.Net, PayPal, SecurePay, Amazon Payments, 2CheckOut, and Zoho Checkout, etc. You need a delivery service provider to deliver products to your customers safely at less cost and efficiency. So you need to integrate delivery service provider API to check whether the product can be shipped to specific location and calculate shipping charges. After the development and testing phase of the site you can deploy your site to make it live for the users. You need to ask your development company that “For how long they provide support for website?”, moreover, after completion of free support what will be the charges for a support subscription. If your site is multi-vendor, then you will need vendor dashboard to provide control to the different vendors. If your site is a single vendor, then you will need a photographer to take a picture of your products for a visual appearance in your site.